Novel Studio alumna, Harriet Tyce supports scholarship for low-income writers. 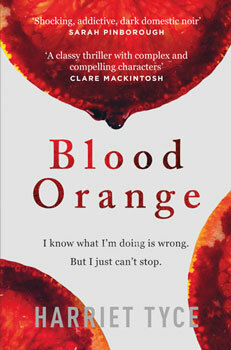 Harriet Tyce, whose debut thriller, Blood Orange will be published this year after a pre-emptive six figure bid from publishing company Wildfire, has lent her expertise to support a scholarship for writers from low-income households. The Novel Studio which has been part of City’s short courses since 2004 offers 15 selected students the unique opportunity to work exclusively with professional writers and editors on their novels for a year. Alumni from the course include Hanna Begbie author of Mother, Deepa Anappara author of Djinn Patrol on the Purple Line and Anna Mazzola author of The Unseeing. The scholarship will support a student of talent and potential who may not otherwise have been able to fund their place on the Novel Studio. The top three applications to the scholarship will be shortlisted and a final winner chosen by a panel, including Harriet, the course director and course tutors. Emily Pedder, Novel Studio Course Director, said: “When selecting our students we try very hard to create a group that is both talented and diverse. We want to encourage and nurture a broad range of voices and stories which reflect the world in which we live. The Novel Studio 2019/20 opens for applications on Friday 1st February. Full details of the scholarship and how to apply are available here.